With NASA's New Horizons spacecraft speeding toward its next target – a New Year's Day 2019 encounter with Kuiper Belt object (KBO) 2014 MU69 – mission Principal Investigator Alan Stern and NASA have added some new expertise to the team's roster. Below, in alphabetical order, meet the seven early, mid- and late-career scientists joining New Horizons for the extended mission to fly by KBO 2014 MU69 on Jan. 1, 2019, and the Kuiper Belt at large. 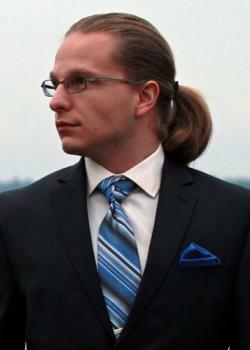 Daniel Britt . . . professor of astronomy and planetary sciences at University of Central Florida . . . native of Ann Arbor, Michigan . . . holds degrees from University of Washington and Brown University, earning his doctorate from Brown in 1991 . . . varied resume includes service as a U.S. Air Force ICBM launch officer and an economist for Boeing, all before becoming a planetary scientist . . . served as project manager for the Mars Pathfinder camera and has built hardware for all of NASA's Mars landers . . . chaired the Division for Planetary Sciences of the American Astronomical Society and the Planetary Geology Division of the Geological Society of America . . . earned six NASA Achievement Awards . . . the asteroid “4395 DanBritt” is named for him . . . on the New Horizons team, will focus on the geology and surface properties of 2014 MU69. JJ Kavelaars . 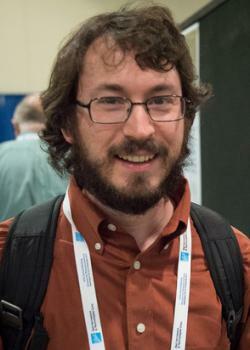 . . senior research officer at the National Research Council's Canadian Astronomy Data Centre in Victoria, B.C. . . . hails from the farming community of South-West Middlesex, Ontario . . . received his doctorate from Queen's University in 1998 . . . became fascinated by the Kuiper Belt while training as an extra-galactic astronomer who was mostly concerned with the size and scale of the universe . . . since 1997 has discovered more than 20 small satellites of the outer planets and more than 1,000 Kuiper Belt objects . . . has served as a principal investigator on the Canada-France Ecliptic Plane Survey and Outer Solar System Origin Survey . . . on the extended mission will provide global context for the KBOs New Horizons observes, as well as ground-based observing support for the flyby of 2014 MU69. Alex Parker . 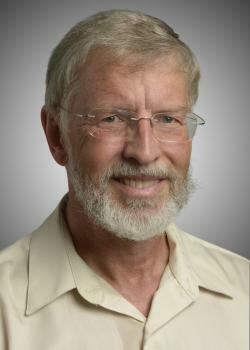 . . research scientist at the Southwest Research Institute in Boulder, Colorado . 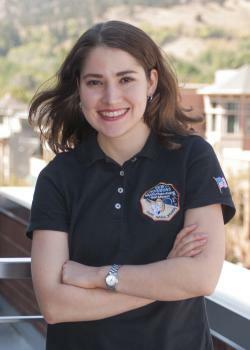 . . originally from Bellingham, Washington, studied undergraduate astronomy and physics at Whatcom Community College and the University of Washington . 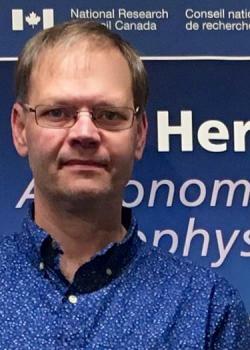 . . earned his doctorate in astronomy from the University of Victoria in British Columbia, Canada, in 2011 . . . efforts searching for New Horizons post-Pluto Kuiper Belt targets paid off in 2014, when he was part of the team that used the Hubble Space Telescope to discover 2014 MU69 . . . will continue research focus on Kuiper Belt origins and binary systems during the New Horizons extended mission. Simon Porter . . . postdoctoral researcher at Southwest Research Institute, Boulder, Colorado . . . originally from Burlington, Ontario, Canada and grew up there and in Tullahoma, Tennessee . . . received a bachelor's in physics from the University of Alabama in Huntsville, and earned Ph.D. in Astrophysics from Arizona State University's School of Earth and Space Exploration . . . was a pre-doctoral fellow at Lowell Observatory . . . research focuses on orbital mechanics and impacts in the outer solar system, and the shapes, rotations, and tidal evolution of planetary satellites, especially the small satellites of Pluto, and the distant observations of Kuiper Belt objects that New Horizons is performing during its cruise through the Kuiper Belt . . . also working on accurately targeting the New Horizons spacecraft to its next flyby target, 2014 MU69, by determining MU69's orbit to unprecedented levels of precision. Silvia Protopapa . . . assistant research scientist in the Department of Astronomy at the University of Maryland . . . focuses on the compositional characterization of small bodies (comets, trans-Neptunian objects) of the outer solar system . . . originally from the small southern Italian city of Galatina . 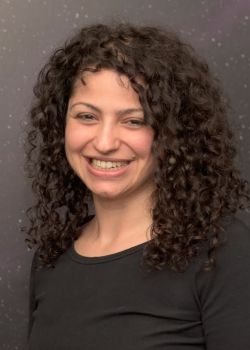 . . graduated from University of Lecce, Italy, in 2005, and earned her doctorate from the Technical University of Braunschweig and the Max Planck Institute for Solar System Research, Germany, in 2009 . . . applies the most advanced analytical tools for spectral modeling and radiative transfer to interpret data gathered from telescopes and spacecraft to probe the origin of our solar system . . . on New Horizons, primarily analyzes compositional data from the Ralph/LEISA instrument. Kelsi Singer . . . a Denver native, received her undergraduate degrees in astronomy and archeology at the University of Colorado, Boulder, and conducted her graduate work at Washington University in St. Louis . . . her Ph.D. dissertation focused on the geology and geophysics of the icy moons of Jupiter and Saturn . 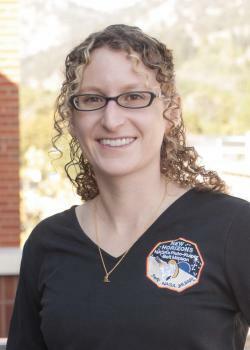 . . after a yearlong postdoctoral position on the NASA Lunar Reconnaissance Orbiter Camera team, she joined the New Horizons team at Southwest Research Institute in Boulder in 2014 . . . research involves geological mapping of planetary surfaces tied to geophysical modeling, looking closely at different geological features, including faults, impact craters, broken up terrain known as chaos, and giant landslides . . . on the New Horizons extended mission, will help with flyby observations and data analysis software tool planning, and investigate the surface geology and cratering history of 2014 MU69. Amanda Zangari . . . postdoctoral researcher at Southwest Research Institute in Boulder, Colorado . . . originally from Lincoln, Rhode Island . . . earned an undergraduate degree in astrophysics from Wellesley College and a Ph.D. in planetary science from Massachusetts Institute of Technology . . . current research involves stellar occultations and Pluto surface mapping . . . was part of the team that discovered 2014 MU69 with the Hubble Space Telescope . . …. will focus on mission planning and Ralph instrument science as New Horizons speeds toward its next flyby in the Kuiper Belt.